Discussion in 'File Downloads - Share and Request' started by pazi11, Feb 9, 2019. I am not familiar with these games other than these were all dumped from physical discs. Have fun playing with these. HI_Ricky, nnovers, Esppiral and 9 others like this. 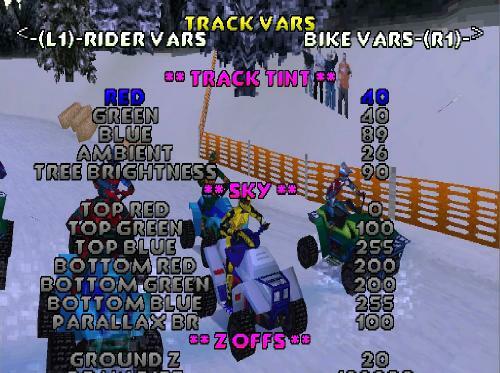 In "ATV Quad Power Racing" there is a "Debug Menu" - you can his call the button "Select"
L1 and R1 - to move between 'options'. 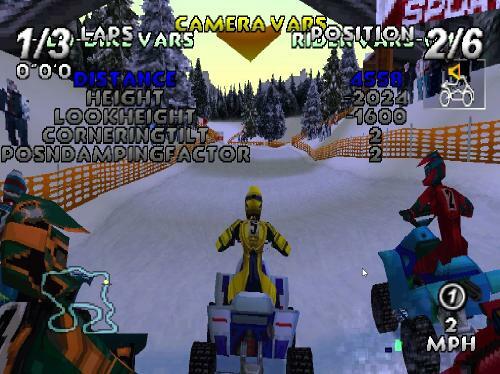 This game for PS1, not for PS2. good, _XBOX_ and SILENT_Pavel like this.